I’m always looking for a way to switch up taco Tuesday around here. And here is a quick favorite these days. While the chipotle sour cream is such a cinch to make, preparing it over the weekend can make this meal so weeknight friendly with hardly any prep at all. 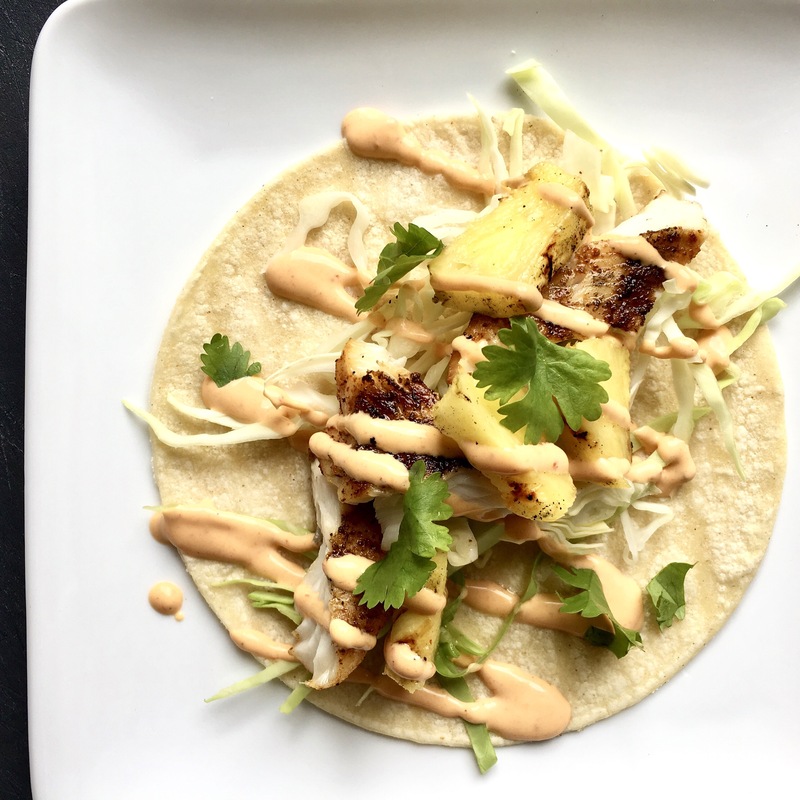 The combination of smokey grilled fish, sweet, lightly charred pineapple, crunchy cabbage and chipotle sour cream is seriously so dreamy you guys! *note: if you aren’t up for grilling you can easily broil the fish and pineapple in the oven…just flip them halfway between cooking until desired doneness. Any white fish will do…I just love how Mahi grills. Also, start with one chipotle pepper for the sour cream and go from there…if you want more heat add another. Preheat grill over high heat. Drizzle fish with olive oil, sprinkle with chili powder and salt and rub the oil and seasoning all over the fish. Place the fish and pineapple on prepared grill and cook fish for 6-8 minutes per side or until just cooked through and cook pineapple until grill marks form on each side, turning occasionally. Remove from grill, flake fish with a fork and chop pineapple.